PHUKET: Development and promotion of southern Thailand as a medical tourism hub was the topic of an international conference last week at the Royal Phuket City Hotel. IMT-GT (Indonesia-Malaysia-Thailand Growth Triangle) cooperative initiative officials participated in the “IMT-GT Medical Tourism” meeting chaired by Thailand’s Ministry of Tourism and Sports Permanent Secretary Sombat Kurupan on December 15. Among the 350 people in attendance were representatives from all three countries involved with tourism and medicine in both government and private sectors, including delegates from Bangkok Phuket Hospital, Phuket International Hospital and Vachira Phuket Hospital. The conference was held to “discuss and brainstorm” strategies for promoting and developing Thailand as a medical tourism destination. Mr Sombat said, “With improving technology in medicine, the number of elderly people will increase, and the southern provinces – especially Phuket – are ideal locations to promote for medical tourism. While receiving treatment, tourists can also enjoy the natural environment, culture, food, nice weather and nightlife. He said that Thailand has potential to become a medical tourism hub because it offers “high-technology” medicine along with alternative options such as spa treatment or Thai massage at low costs. Added to the allure of Thailand as a medical tourism destination are its overall low cost of living and excellent services, he said. There is an average of 1.45 million medical tourists each year in Thailand, which is expected to grow to 1.6 million for 2010, Mr Sombat said. The increase in numbers is expected to generate about 60 billion baht in revenue for 2010 and rise to 100 billion for 2015, he added. 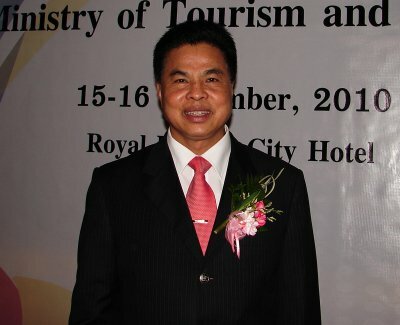 The IMT-GT’s proposals will be included in the National Tourism Development Plan 2012-2016 which will be delivered to the Cabinet next week, Mr Sombat said.